Dr. Tom J. Pousti is a Diplomat, American Board of Plastic Surgery as well as American Board of General Surgery. He has been re-certified in both of these Board Certifications in the past 4 years. Dr. Pousti is recognized around the country as an experienced Plastic Surgeon in the area of breast surgery, facial surgery and body contouring surgery. He finished his 5 years of General Surgery training at University of California, Irvine and then proceeded to do 2 years of Plastic Surgery Training at Harvard in Boston Massachusetts. 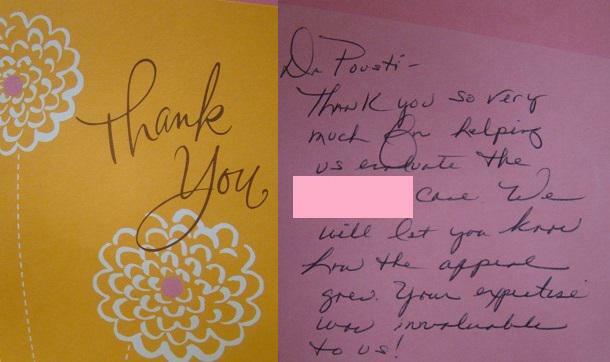 Dr. Pousti has been involved in court testimony, depositions, and record reviews for the past 7 years. He is available for record reviews and consultations for cases. Dr. Tom Pousti gives ethical, honest advice and is happy to assist you. For more information, please contact us via email at info@pousti.com. 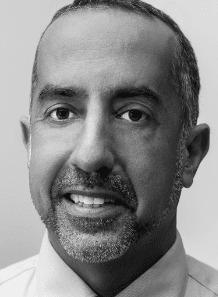 Dr. Pousti has previous deposition and/or trial experience with “standard of care” cases involving: –Breast Augmentation –Breast Implant Surgery –Revisionary Breast Surgery –Breast Reconstruction –Breast Reduction –Abdominoplasty Surgery –Arm Lifting (Brachioplasty) Surgery –Thigh Lifting Surgery –Liposuction –Facial Procedures –Mommy Makeover Surgery –Death after Plastic Surgery Procedures –Blindness after Facial Surgery –Lower Extremity Trauma -Ethics Violation Review(ASPS) It is important to understand that “standard of care” is a legal term with a clear definition that is much more expansive: the level at which an ordinary, prudent professional having the same training would practice under the same or similar circumstances. So the standard of care is not only not perfect care, it is not even average care, because by definition that would imply that 50% of care is below the standard. 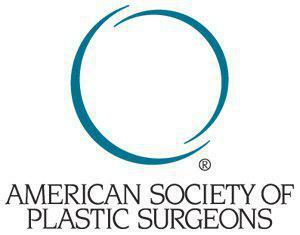 As stated in its Bylaws, the American Society of Plastic Surgeons, (ASPS) is organized: To benefit humanity by advancing the art and science of plastic and reconstructive surgery; to promote the highest standard of professional skill and competence among plastic surgeons; to promote the exchange of information among plastic surgeons; to promote the highest standard of personal conduct among plastic surgeons and physicians; to provide the public with information about the scientific progress in plastic and reconstructive surgery; to promote the purpose and effectiveness of plastic surgeons as is consistent with the public interest. Regarding medical expert witnesses, it is in the public interest that medical expert testimony be readily available, objective and unbiased. Members have an obligation to testify as expert witnesses when appropriate. However, members whose testimony, including testimony as to credentials or qualifications, is false, deceptive, or misleading may be subject to disciplinary action, including expulsion. Further to help limit possibly misleading testimony, members serving as expert witnesses should: 1. Have recent and substantive experience in the area in which they testify, 2. Thoroughly review the medical facts and testify to their content fairly, honestly and impartially, 3. Be familiar with the standards of practice prevailing at the time of the occurrence, 4. Neither condemn performance that clearly falls within generally accepted practice standards nor endorse or condone performance that clearly falls outside of such standards. What is a medical expert witness? A medical expert witness serves an important role in the legal system in helping to determine medical negligence. What is the purpose of a expert witness? The purpose of expert witness testimony in medical malpractice cases is to describe the standard of care relevant to a given case, identify any breaches in those standards, and render an opinion as to whether those breaches of the most likely cause of injury. The expert witness is asked to compare the applicable standards of care with the facts of the case and interpret whether the evidence indicates a deviation from the standards of care. The medical expert also provides an opinion as to whether that breach in care is the most likely cause of the patient’s injury without the experts explanation of the range of acceptable treatment modalities within the standard of care and interpretation of medical facts, juries would not have the technical expertise needed to distinguish malpractice(bad care) from maloccurrence (bad outcome). Expert witnesses are held to ethical standards by their professional societies. Ideally expert witnesses should be unbiased, objective and accurate and should provide a truthful analysis of the standard of care. What is the standard of care? The standard of care is a formal diagnostic and treatment process a doctor will follow for a patient with a certain set of symptoms or a specific illness. That standard will follow guidelines and protocols that experts would agree with as most appropriate, also called ‘best practice’. In legal terms, a standard of care is used as the benchmark against a doctor’s actual work. ex: in a malpractice lawsuit, the doctor’s lawyers would want to prove that the doctor’s actions were aligned with the standard of care. The plaintiff’s lawyers would want to show how a doctor violated the accepted standard of care and was therefore negligent. Ideally an expert witness should take all necessary steps to provide thorough, fair, objective, and impartial review of medical facts. Relevant information should not be excluded for any reason. They should be fair and objective. When a variety of acceptable treatment modalities exist, the expert witness should report this candidly and clearly. Expert witness testimony should not condemn performance that clearly falls within generally accepted practice standards or condone performance that clearly falls outside accepted practice standards.